Gunfire echoes within the walls of a Middle East police compound. Screams of terror are brutally silenced. Police captain Hashim Sharif captures one survivor. Soon Eliza MacKay will wish she had died with her companions. The vile act of terrorism is covered-up. Sharif becomes the reluctant keeper of his city’s bloody secret – and the witness, MacKay. His corrupt superiors have a gun rammed against his skull. Disloyalty to the mayor will be rewarded with being buried alive. CIA Agent Hutchinson has the lying Sharif in his cross hairs. Sharif dodges the agent’s traps almost as easily as the hit man on his tail. When Sharif discovers the shocking truth, he loses all hope of survival. What is worth dying for? Perhaps it’s not bringing a madman to justice. Could it be saving the life of a woman who kick-started his numb heart? On the knife-edge of risk, Sharif plots an act most forbidden and fatal. 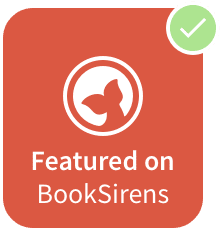 Forbidden starts out with a bang, literally, and takes the reader on a wild ride throughout. Eliza McKay is the last minute replacement as a paramedic for a group of American volunteers. All of the other volunteers are massacred within a police compound in the Middle East, and that’s just the beginning of the story. Hashim Sharif is ordered to keep Eliza with him until they figure out what to do with her. If it wasn’t for Sharif, she would have been executed immediately so that there was no witness to the massacre. Sharif is a devout Muslim and can’t kill an innocent woman but at the same time, his faith is being tested in other ways. Even though they have trouble trusting each other in the beginning, Eliza and Sharif start to care for each other. The characters are complex and interesting. Eliza has PTSD because of an accident that killed her family and she shouldn’t have survived. Sharif is a devout Muslim who wants to do what is right, something that can be difficult in his position as police chief in a Middle East country. 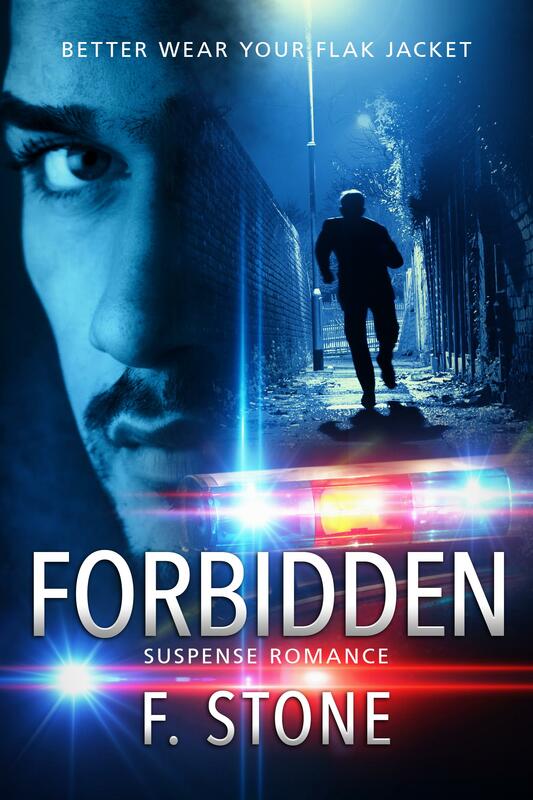 Forbidden is full of twists and has one of those plots that is almost impossible to figure out…you just have to read it. If you like an international thriller, this is a must read with a good ending. An armored truck with a mounted machine gun roared up behind the two police motorcyclists. Something is terribly wrong. She ducked deeper behind the luggage and stared into the darkness. She desperately searched for a rational explanation. A cold knife pierced her core. After speeding through intersections and red traffic lights, the vehicles came to a sudden halt. Gate hinges squealed in protest. The impulse to leap from the back of the truck fought with her intense need to remain hidden. If it were not for the armed vehicle at the rear, she would have jumped and disappeared into the night. In another moment, the opportunity vanished. The vehicles lurched forward. Through the flap’s opening, she saw a massive iron gate. High walls extended on either side. The vehicles stopped. The motorcyclists drove to either side of the truck. The armored vehicle surged forward, nearly crashing into the back of the supply truck (where Eliza is hiding). Eliza scrambled to put more of the luggage between her and the mounted gun. It bore down on her as if it had spied her. She gasped. Eliza strained to hear a pleasant greeting, an apology for the change of plans, anything that would tell her heart to stop its thundering in her chest. “Stay together,” Charlie called out. At first the volunteers sounded merely annoyed, but their mood rapidly deteriorated. “Charlie, there’s a mounted automatic weapon on that truck. Something’s not right here.” The man’s alarm ricocheted through his companions. Quick footsteps reminded Eliza of nervous horses in a corral – wild-eyed, snorting and circling as they searched for an escape. Charlie attempted to calm his group. “I’m sure this will all make sense. I’ll see why there’s been a change. Who’s in charge here?” he called. Scattered thoughts fed her fear. The unmistakable sound of large guns being maneuvered sucked the air from Eliza’s lungs. Near the supply truck, she heard the ping, ping of a cell phone, then the trembling voice of a woman crying, “Ralph, pick up the phone. Please. Oh God ….” The woman screamed. With a blast of gunfire, her cries stopped. Bullets pierced the canvas and shattered a suitcase in front of Eliza. Her body trembled violently. In minutes she would be killed. The luggage offered no protection. Terrified to make any sound, yet frantic to hide, she pressed her backpack to her chest. She gasped as if starved for oxygen. Tears ran down her cheeks as she heard the terrified people and Charlie beg for their lives. This is only one of my nightmares. I’ll wake up and everything will be fine. The truck with the mounted machine gun swerved around the supply truck. Deafening sounds of machine gun blasts and screams tore through her chest. She plunged down among the luggage. A man came into her view as he lunged toward the gate. A police officer ran after him and fired several shots into the man’s back. The American dropped, bloody and lifeless. 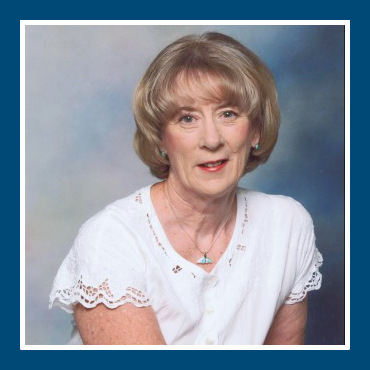 Suddenly, an armed man dashed to the rear of the supply truck and saw her. She gasped. Oh my God, he’s going to kill me. I’ve got once chance. Get his gun. Her martial arts training kicked in. She lunged forward. As they grappled, both fell. Falling on top of him Eliza punched his groin. He cried out in agony. She crab crawled on all fours toward his weapon several feet away. Too late she saw a boot aimed at her head. She ducked for cover under the supply truck. Too late. The cop stomped on her head, ramming her forehead into the pavement hard. Her momentum pushed her under the truck’s back end. Dazed, she checked to see if he followed her. 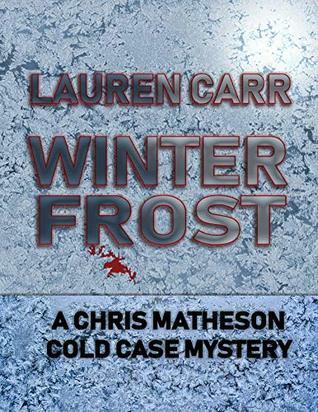 He was struggling to free his boot, snared in her scarf. A gun’s muzzle appeared, aimed in her direction. Bullets ripped through her coat’s shoulder. Puffs of down feathers stuck to the sweat and blood on her face. I’m hit. Get out. Run. Eliza kicked and crawled out from under the truck on the far side of the killers. The deafening gunfire and screams surrounded her. Her mind froze. She pressed her body into the truck’s solid frame. More bullets smacked the ground near her. More vehicles arrived. Bright headlights blinded her. She turned away to shield her eyes. Desperate, she ran an erratic, aimless course. 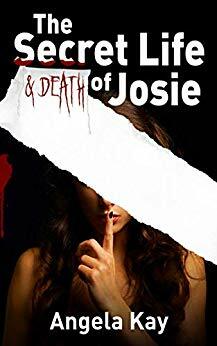 Silhouettes of shapes, helmets, guns and bloody bodies flashed in front of her. Keep running. Dodge. Find cover. She ran like a wild animal, blind to the teeth that would tear her apart. When the thunder from the machine gun stopped she glanced back. The man at the machine gun tumbled head first off the truck. His companions continued to fire their weapons, but now toward the gate. More shots came from behind the blinding lights. The men ran toward the front of the supply truck. Riddled with bullets, their bodies twisted and fell. Eliza gazed in bewilderment at the tall form appearing in the light. He raced forward past the open gate, his weapon raised in her direction. More men followed behind him. She ran, searching for cover. A short burst of gunfire. Bullets struck the ground a few yards in front of her. She skidded to a stop. Breathless, she turned toward the gunman. She could not make out his face below the dark helmet. He wore a police uniform like the killers had – black from head to toe. If not for his vehicle’s headlights, he would have been invisible. He raced toward her, his weapon held steadfast in her direction. 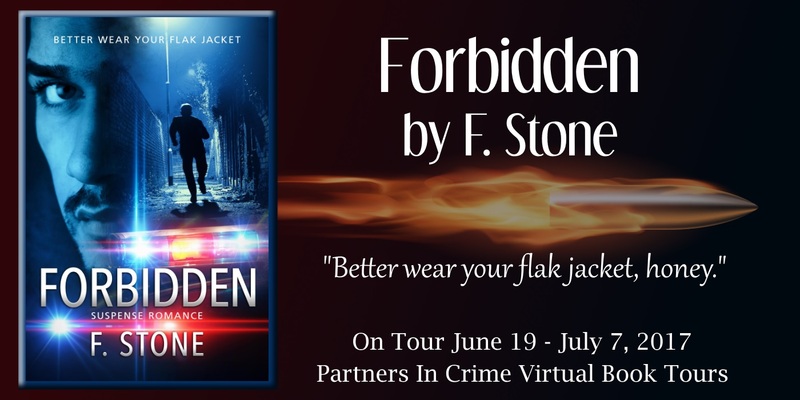 Excerpt from Forbidden: Better Wear Your Flak Jacket by F. Stone. Copyright © 2017 by F. Stone. Reproduced with permission from F. Stone. All rights reserved. On our cattle ranch in Alberta, when an animal was in distress or injured, I was put in charge of nursing it back to health. Never mind that I was just a kid and hated the sight of blood, but I had to muster up the courage to apply home remedies. My survival rate was pretty good. It seemed like a foregone conclusion that I would progress to nursing – humans. After one year into nurses training, I bolted. Bed pans and chronic diseases pushed me in different direction; a career of dealing with drug addicts, murder, suicide, fatalities, and biker gangs. In 1983 I graduated with honors as a paramedic and worked in the City of Edmonton’s Emergency Services. My creative DNA shocked me when I was driven to write a dystopian / paranormal / romance novel, The Guardian’s Wildchild. After taking several writing courses, I presented the manuscript to Omnific Publishing who published it in 2011. Just when I thought I could get my life back, another story took me prisoner – Forbidden. I couldn’t believe there was this kind of story within me and desperate to be told. I resisted. It was futile. Retired and focused on home life, I’m back to being a mom to four pets and one husband. We travel and taste the excitement of other cultures. In between adventures, I’ve dabbled in water color painting, photography, needle work, gardening – the list goes on. In my next life, I plan to explore the cosmos. I’ve learned a few things in my seventy years. Thoughts are powerful. Intention is everything. Passion is the key to success. This is a rafflecopter giveaway hosted by Partners in Crime Virtual Book Tours for F. Stone. There will be 1 winner of 1 $10 Amazon.com Giftcard AND 5 winners of one (1) eBook copy of Forbidden by F. Stone. The giveaway begins on June 18th and runs through July 9th 2017. I read this and it surely will be on my Top Ten list. Thank you for reading Forbidden and posting this lovely review. You’re welcome. It’s a good book! !